Schedule download android: Hey Guys if you want to download a File at specific Time automatically on Android, Then you are at right place. Because, in this post, I am going to share a step by step Tutorial which you can follow for Scheduling Download on Android device. You may also like Latest Version of Freedom Apk for free and GBWhatsapp Apk Download. There are many Android apps available which you can use for Schedule download on your Android device. For scheduling Download in Android we have tried many methods for Download a file at certain time automatically on Android. We have found one of the best way to do it. Previously we were shared article on How to Increase download speed on Android. This trick is only for Android devices currently. So, you can Schedule Downloading of any files at certain time on your Android Device without any issues. Also Download Instagram Plus Apk. So guys, if you wonder why this Android download scheduler will be useful, then let me tell you. Also have a look at How to hide WhatsApp Images & Videos from Gallery and Stylish Girls DP for WhatsApp and Facebook. If you’re using a Android Mobile Data, then it costs a lot in comparison to WiFi right. If you want to download some big files, You can simply easily Buy Night pack, which is very cheap in comparison to day data pack. After get night pack, you can Schedule downloading at night, And you don’t even need to wake up at night for use your night pack, pretty cool trick right?? And you can also use this trick of schedule downloader for Android for save your money, time Now download big files in more smarter way, Simply Schedule downloads on your Android device and enjoy this Download scheduler for Your Android device Smart phone. Also have a look at How to Create Unlimited Facebook accounts and Create WhatsApp Account with US Number along with Install Dolby Atmos Apk on Android. In these steps, we are going to use app called Advanced Download Manager for Android. And as you all know that this is One of the Best & Most Download Manager for Android, Which you can use on your Android Phone. This download manager also supports parallel Thread downloading, Which download a file in Multiple parts for speed up the downloading speed and save your time. You may also try Best Hacking apps for Android. Now Simply follow some of the simple steps now from below for know more about how can you schedule downloading on your Android device. 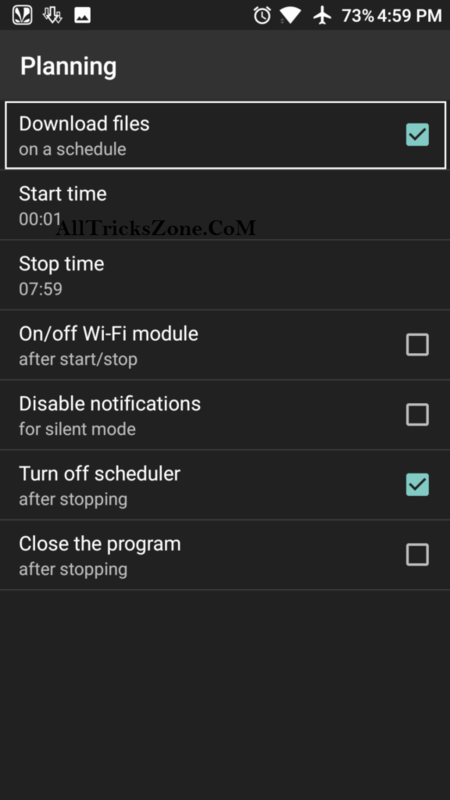 You don’t need to use any kind of full of ads download scheduler apk, Simply use your favorite download manager which is ADM for this trick. This is totally Free of cost. Previously we was shared a article on Best Free Torrent Download apps and Create Gmail Account Without Phone Verification and How to Unlock bypass MI Account Password. Advanced Download Manager is also knows as (ADM) and this is one of the best download managers for all Android users. You may also know Set WhatsApp DP Without Crop and Whatsapp DP Images Profile Pictures. This application completely Allows you to download any type of files on android device without facing any issues according to your choice. Not only this, Even this ADM is also has the ability to choose various download folders where you want to save the Downloaded files depending on the file type. And the interesting thing is that Advanced download manager comes with lots of features like it is the most powerful downloader for Android which can be download up to 5 files from the internet at same time. So, You can also download files on the background and also resume if it fails for any reason. also see Facebook Premium Social Toolkit And Windows 7 Launcher for Android. So if you see the interface of this app it is very clean and user friends. It is also easy to use & manage the downloads and also sort any type of files downloads by size, name or type. In addition to that. It also support pause, restart, Stop, Resume for downloading any type of files on your Android phones and also have widget on the home screen on Android phone. So that you can keep eye on the downloads. You may also like Spotify Premium Apk No Root and Create Unlimited Facebook Accounts. 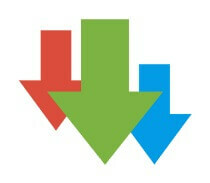 After Download & Install Advance Download Manager on your Android, Simply Open on your phone. Yeah now this ADM Download Manager will automatically Start Downloading at Certain time, Now you don’t need to worry about starting your Download. like screenshot. That’s it guys, This was the my one of the best way ever which you can follow for How to Schedule downloads on Android device Using ADM App. If you have any questions regarding this tutorial, then simple easily comment in below. I will try to help you out, Thanks for visiting this blog and stay connected with us for more cool awesome tricks like this. and Enjoy How to Scheduling downloads on Your Android device. You may also like 3 Best WiFi Hacking Apps for Android.